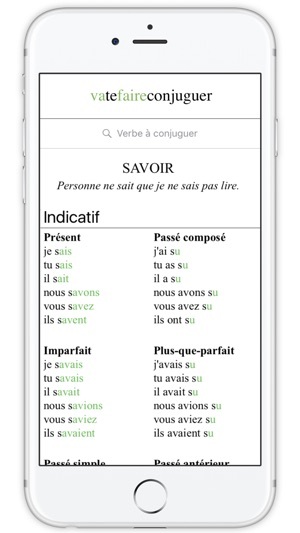 Vatefaireconjuguer, a free French verb conjugation tool. 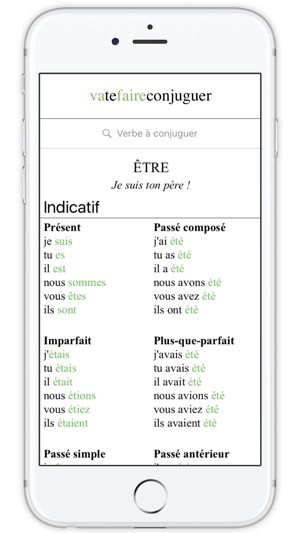 Conjugate French verbs with ease using this handy app. 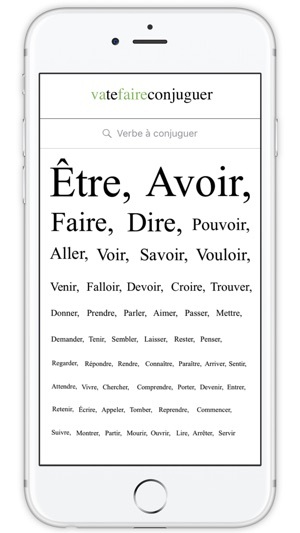 If you're not sure how a certain French verb (être, avoir, aller, faire, etc.) 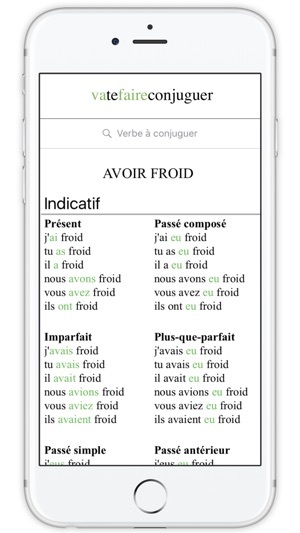 should be conjugated, just type it in the search box, hit enter, and the app will show you the conjugation for each tense, including subjunctive and imperative forms, for each French verb. - Search for verbs in any form (conjugated or infinitive), with or without accents. 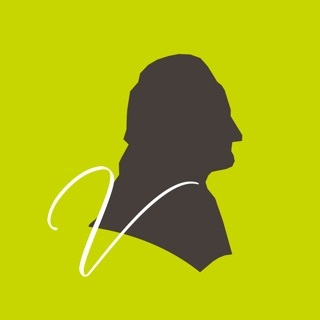 Vatefaireconjuguer.com is designed, edited and developed in its entirety by A9 SAS, who also make Gymglish.com (Online English Lessons) and Frantastique.com (Online French Lessons). French has so many tenses and moods. It can be really hard to keep them straight! 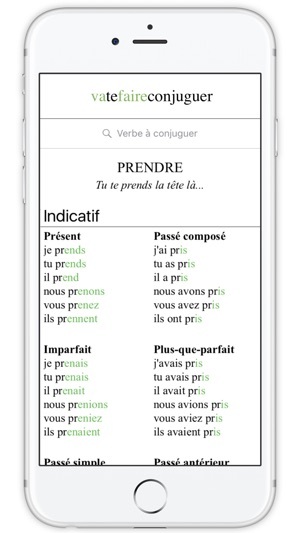 This simple app makes it a breeze to navigate the difficult area of French verb conjugation. It’s an invaluable reference that serves its own unique purpose that a dictionary or translator app doesn’t cover sufficiently. I’ve never looked up a verb in this app and not found it...unless I was spelling it incorrectly. 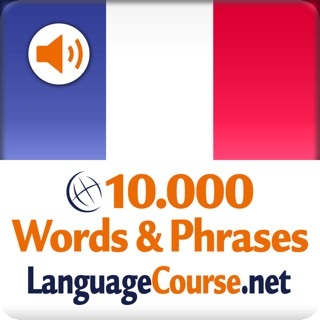 Thank you for a clean, easy to use, essential app for studying French. I have been studying French for two years now and have been traveling to France several times a year. I have also been corresponding in French with a number of French pen pals. This app is invaluable! I use it almost daily. And I like that there aren’t translations. That improves my learning of the language just a little bit more. Thank you a lot for your great and free app but please make all of the verbs offline pre-installed on the app. Thanks for your landscape mode too but I think you should work a little bit more on it because the landscape to portrait mode or portrait to landscape's animation does not work so well (I mean it should happen faster).